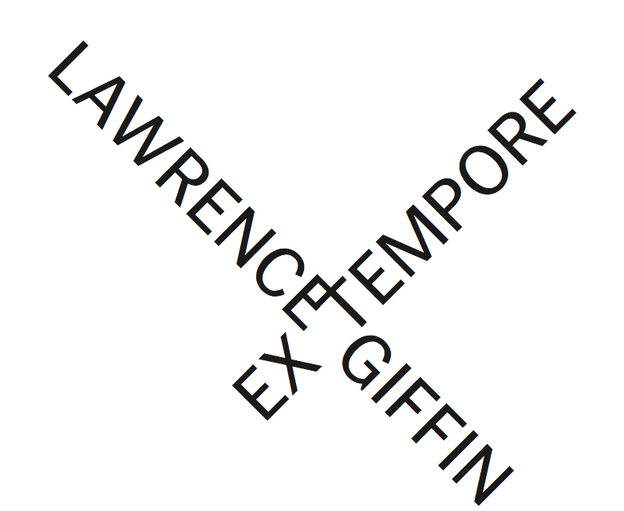 Lawrence Giffin’s Ex Tempore (TROLLTHREAD 2011) seeks to attend to time by capturing the constantly transient instant of composition. The book begins with a short preface, allegedly identifying the exact moment that Giffin began writing his text. The rest of the 176 page text is a list of nearly repeating statements: “It is now 12:16:41 AM on October 28, 2011. / It is now 12:16:53 AM on October 28, 2011” and so forth. These statements persistently track and fail to capture the elusive “now” of a 24 hour span of time. Despite its emphasis on the “now,” a point or moment, what actually emerges is an existential encounter with time as a flattened, streaming phenomenon. It’s intriguing to contrast Giffin’s Ex Tempore with another text that alleges to capture a 24-hour span of time — Bernadette Mayer’s Midwinter Day. Mayer's Midwinter Day richly explores her dream life, daily activities, thoughts, and desires. In Giffin's work, the self is erased from the moment--he is transformed into a typing machine. His “activity” is markedly devoid of personal content. Time, in this imagination, asks us to be nameless. In fact, it asks nothing. It simply proceeds. An earnest effort to actually read Ex Tempore ejects the reader from paying attention to its content. The mind wanders. Eyes glaze. After encountering even just one page of the text, the reader knows already what every other page will offer, and their ability to pay attention drifts away. Though time is indexed in a manner that seemingly illustrates each moment's unique identity (no two moment's are repeated), the text actually presents each instant as rather unremarkable in its placement in a relentlessly monotonous series. Time runs past, and we fail to apprehend it. And yet I find this text remarkably successful for generating a different attentiveness to the fleeting instant. The relentlessness of Giffin's text is wonderfully boring. It enacts an encounter that aesthetic theorist Sianne Ngai describes as "stuplime," in which the reader is bored into stupefaction. The experience “reveals the limits of our ability to comprehend a vastly extended form as a totality [...] yet not through an encounter with the infinite but with finite bits and scraps of materials in repetition” (Ugly Feelings 271). Ex Tempore recognizes that the present moment can only barely be traced, for it is too vast and too fleet. Even its smallest increment is infinitely beyond my ability to recognize it. And aren't we always behind the instant? Even our perceptions operate on a short delay — the instant that we experience and register as experience has already passed us by — we’re out of it. Ex tempore, indeed.